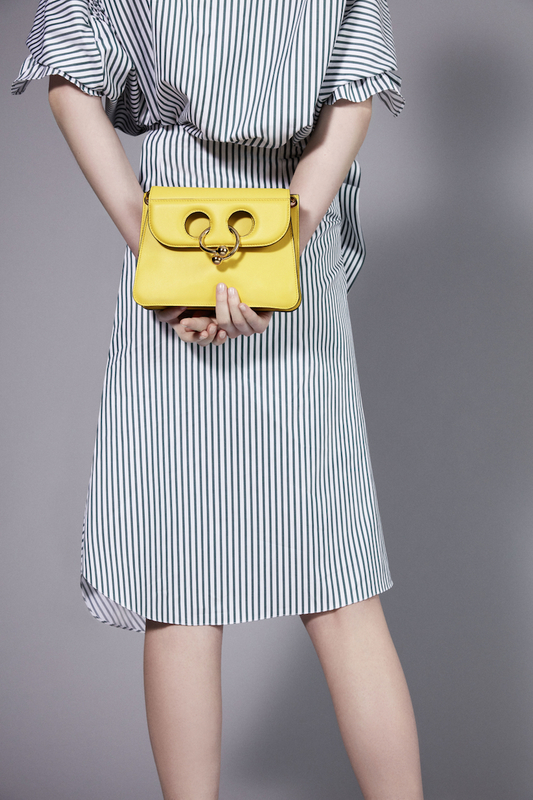 Piercingly Perfect—J.W Anderson dropped an exclusive collaboration with luxury e-commerce site mytheresa.com, consisting of four Pierce bags and six ready-to-wear pieces. 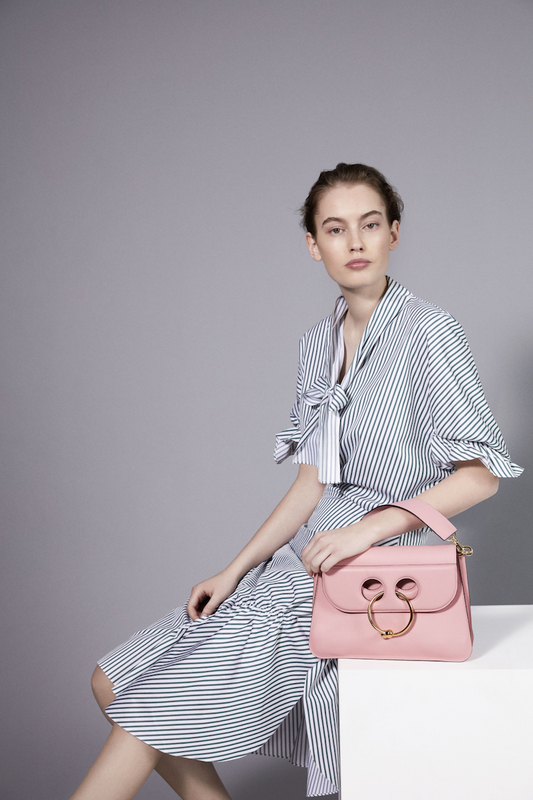 These voluminous, feminine silhouettes and Pierce bags represent a sort of self-contained wardrobe for a very fashionable shopper. 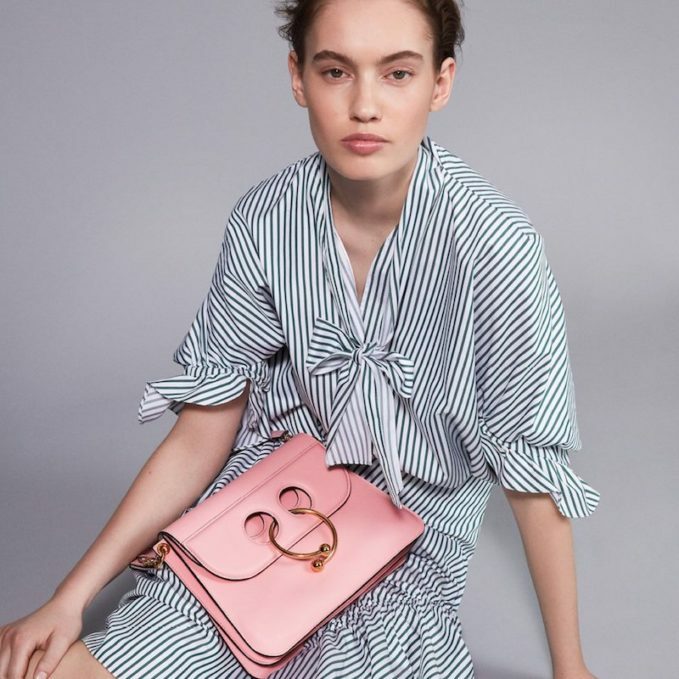 Garments could theoretically be mixed and matched without concern about seasonality or trends, since the clothes — off-the-shoulder midi dresses, wrap skirts, and long-sleeved blouses — are rendered in classic pinstripes and gray cotton. Shop mytheresa.com x J.W.Anderson Spring 2017 Capsule Collection exclusively at mytheresa.com.